Which 2018 Trade Deadline Deals Will Have the Most Impact? Which Deadline Deals Will Have the Most Impact? On Jan. 24, I published an article that predicted team success using goal differential. In the article, I wrote that I would apply the prediction model to the trade deadline and attempt to value all of the major deals. Because the model involves a team’s goal totals for a season, there is a minimal goal total needed for the player to have an impact on his new team so not all deals need are covered. On Feb. 22, the New York Rangers dealt right wing Michael Grabner to the New Jersey Devils for defense prospect Igor Rykov and a 2018 second round pick. This was the first trade between the franchises in their histories. 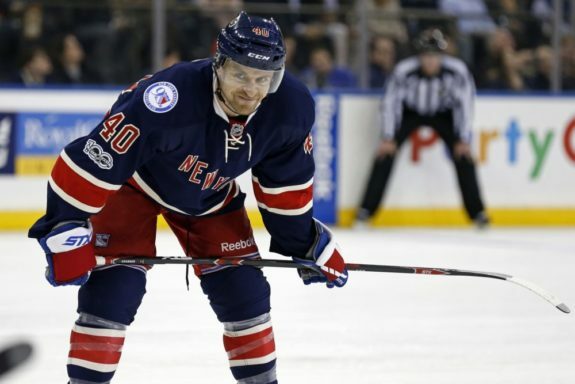 As of Feb. 26, Grabner has 25 goals in 60 games for a .42 goals-per-game (GPG) average. Over an 82 game season, this scoring rate projects to 34 goals, or nine more than his current total. The Devils have a minus-three goal differential at the time of writing, scoring 185 goals while allowing 188. Using my model, the Devils have an expected winning percentage of 49.1. With one game equal to 1.2 percent over a full season, the Devils need to increase their expected winning percentage to 50.3 percent to represent a growth of one win. Based on their expected winning percentage, the Devils need to score three additional goals to earn another win. Considering Grabner will score nine more goals this season based on his GPG average, he is worth three additional wins to the Devils, not factoring in any other player impacts. On Feb. 23, in a three-way trade involving the Vegas Golden Knights, the Pittsburgh Penguins acquired center Derick Brassard from the Ottawa Senators. Going back to the Senators were defenseman Ian Cole, goaltender Filip Gustavsson, and two draft picks. In 58 games with Ottawa, Brassard had 18 goals in 58 games, or .31 GPG. That pace is equal to 25 goals for a full season. The Penguins scored 206 goals and allowed 187 this season, giving them an expected winning percentage of 55.4. An addition of one win gives Pittsburgh an expected winning percentage of 56.6 with four goals needed to earn that win. The 25 goals that Brassard is on-pace for are seven more than he currently has. With the four goals needed for Pittsburgh to win one more game, Brassard adds just under two wins to the team’s total. The first big playoff rental moved at the deadline, Rick Nash was one of the most sought-after players. 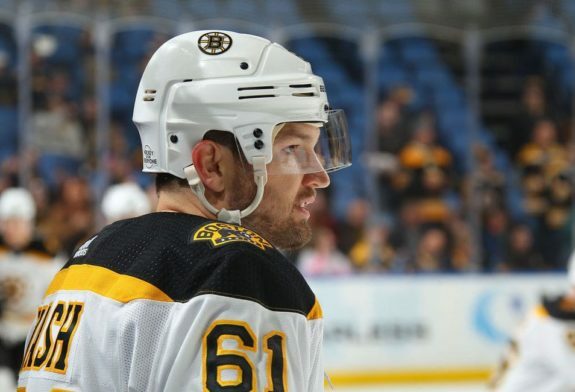 In return for Nash, the Boston Bruins sent the New York Rangers Ryan Spooner, Matt Beleskey, defense prospect Ryan Lindgren, and two draft picks. Although he’s no longer a 40-goal scorer, Nash has become a dependable two-way forward. He has 18 goals in 61 games for a .30 GPG average. This puts Nash on the same scoring pace as Brassard at 25 goals and needing to score seven goals to hit that mark. The Bruins have a plus-45 goal differential with an expected winning percentage of 64.4. An increase of one win gives them an expected winning percentage of 65.4 and need four goals to win that additional game. With the seven goals Nash is on pace to score, he provides the Bruins with just under two wins the rest of the season. The biggest rental piece available at the deadline, the Buffalo Sabres traded Evander Kane to the San Jose Sharks for two conditional draft picks and Dan O’Regan. Kane had 20 goals in 61 games for the Sabres and averaged .33 GPG. That rate equals 27 goals for a full season, seven more than his current total. The Sharks have been a great defensive team, allowing only 176 goals, but have only scored 182 of them. That gives them an expected winning percentage of 51.9. An additional win increases this expected winning percentage to 53.1, needing four goals to reach that percentage. If Kane scores seven goals with the Sharks, he will be worth just under two wins for them. Traded two times previously at the trade deadline, Thomas Vanek is no stranger to being moved this time of the season. Vanek moved this year from the Vancouver Canucks to the Columbus Blue Jackets for Jussi Jokinen and Tyler Motte. With Vancouver, Vanek had 17 goals in 61 games for an average of .28 GPG. That average over a full season equals 23 goals and he will need to score six goals with Columbus to reach that total. The Blue Jackets have had a difficult time scoring goals this season with only 163 this season. They have allowed 174, giving them an expected winning percentage of 46.3. An additional win gives them a winning percentage of 47.5 and is worth three goals. If Vanek scores six goals the remainder of the season, he will be worth two wins. 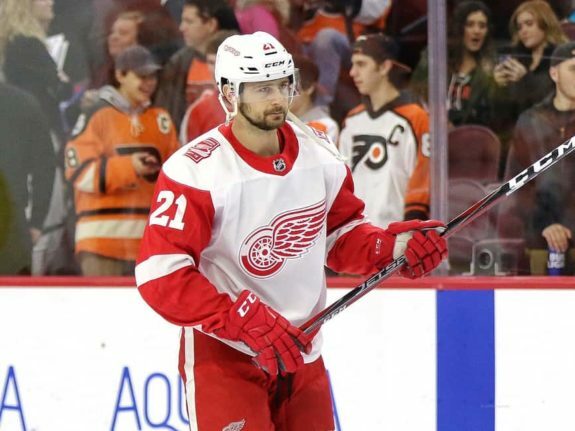 The Detroit Red Wings traded Tomas Tatar to the Vegas Golden Knights in a move that confirmed the Golden Knights’ position as a buyer. Vegas sent a first, a second, and a third-round pick to Detroit – a large return but Tatar is under contract for three more seasons. With the Red Wings, Tatar had 16 goals in 62 games for an average of .26 GPG. Projected over a full season, that rate equals 21 goals, five more than he currently has. Vegas has a plus-49 goal differential, scoring 215 goals while allowing 166. That gives them an expected winning percentage of 64.2. Another win increases this percentage to 65.4 and they need five goals to reach that mark. With Tatar expected to score five goals the rest of the season, he is worth one win for Vegas. In the biggest move of the day, the New York Rangers sent Ryan McDonagh and J.T. Miller to the Tampa Bay Lightning. The return was Vladislav Namestnikov, Brett Howden, Libor Hajek, and two draft picks. Prior to the trade, McDonagh had two goals and averaged .04 GPG and Miller netted 13 of them for an average of .21 GPG. Over a full season, those rates equal three goals for McDonagh and 17 for Miller, or five combined goals the rest of the season. Told the Ryan McDonagh trade was in fact a last minute deal: Agreed upon at 2:59 p.m. ET. The Lightning have been one of the best teams, scoring 223 goals and allowing 167. They have a 65.8 expected winning percentage and an additional win increases that percentage to 67.0. That win is equal to five goals, the exact number of goals McDonagh and Miller project to score with the Lightning. Together, they will add one win to the Lightning’s record. The Edmonton Oilers dealt Patrick Maroon to the New Jersey Devils in a late transaction. The Devils sent prospect J.D. Dudek and a third-round pick back. Maroon scored 14 goals, or .25 GPG, for the Oilers and is on-pace to score seven more with the Devils for a total of 21. As mentioned in the Michael Grabner trade, the Devils have an expected winning percentage of 49.1 and need three goals to earn an additional win. With Maroon projected to score seven goals with the Devils, he can contribute more than two wins to the team.